Makeover Monday. What a great idea. 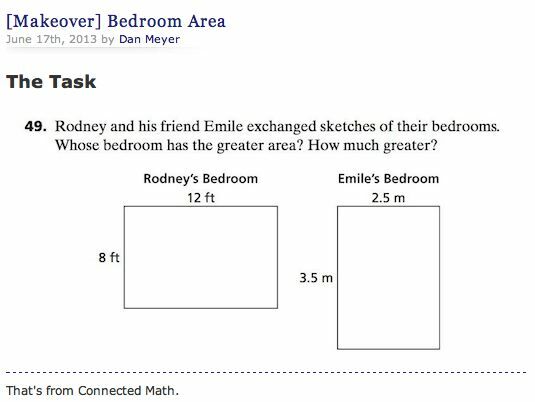 Readers of Dan's blog and tweets offer suggestions as to how to improve standard textbook problems. This is online collaboration at its best. Only thing better would be not to have to start with lemons. Maybe someday Dan and company will write better, more creative and dynamic "textbooks." Pearson, McGraw Hill, etc. : Are you listening?